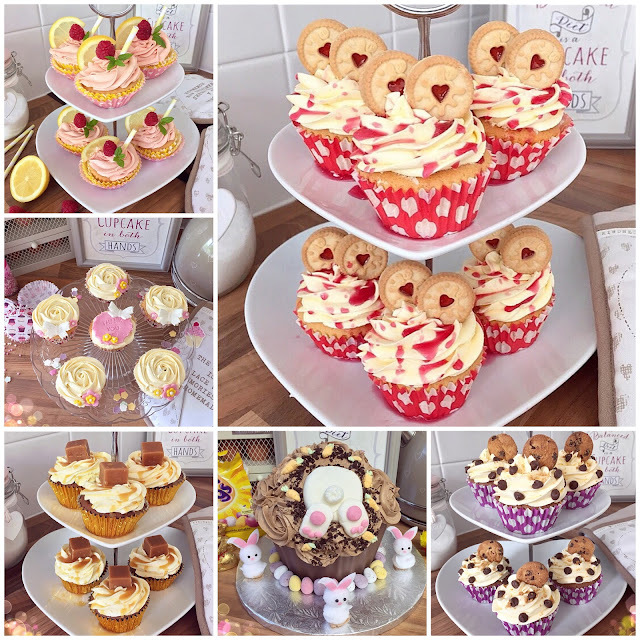 If you follow me on Instagram then you'll know that I'm a bit of a baking enthusiast that likes to tease you all with my cupcake creations on a weekly basis, apologies. I'm forever getting people ask me for the recipe each time I post a picture wether it be sticky toffee fudge, raspberry margarita or mint aero flavour! 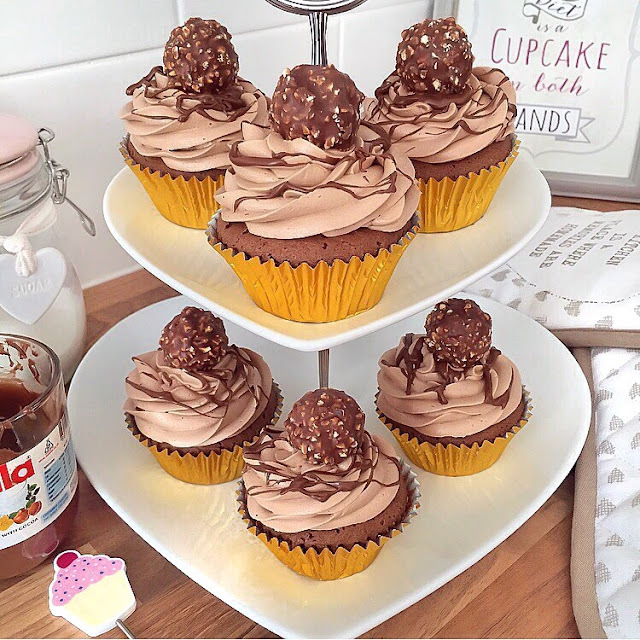 So, today I thought that I'd better share the recipe for my all time personal faves, and that's my Ferrero Rocher cupcakes complete with Nutella buttercream and centre. YUM! 4.) Once your cupcakes are cooled completely you want to carve out the centre, I usually cut around a piping nozzle as that's a good size! Then add a generous amount of Nutella to the middle of your cupcakes for an extra Nutella kick- this step is optional. 2.) Combine the icing sugar, butter and Nutella and whisk for a further 5 minutes, and then pop it into the fridge to set as it makes for neater piping. 3.) To pipe the buttercream onto the cupcakes you'll need to use a piping bag. You can pipe the buttercream on however you want so just choose the nozzle you like best- I used a Wilton 2D for these particular cupcakes. 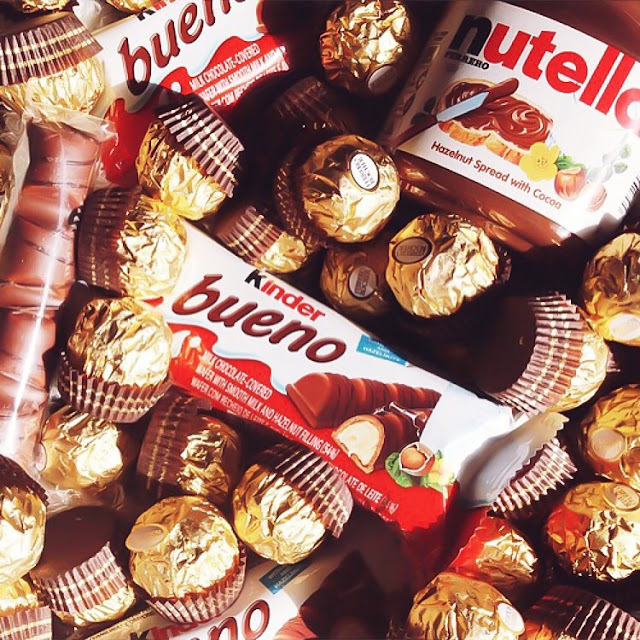 To finish stick a jar of Nutella in the microwave for around 10 seconds, then drizzle over each cupcake and top with a Ferrero Rocher- as easy as that, Mary Berry would be proud! Being the huge Nutella lover I am these are my dream cupcakes, what would yours be? Oh, and as always if you decide to give these a whirl then be sure to tag me on Instagram (@itslittlelauren), I'd love to see your creations!